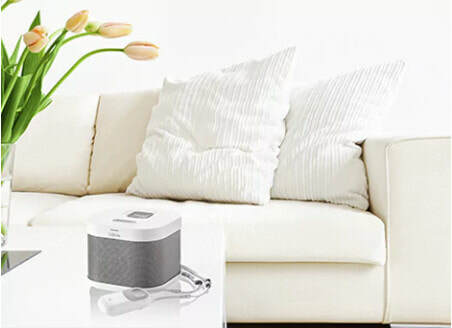 ​HomeSafe with AutoAlert provides the benefits of a classic medical alert system, but is enhanced with AutoAlert, our highly tested fall detection technology. Having AutoAlert means if a loved one falls, and is unable to press their button, a help call will still be sent to our Response Center1 when a fall is detected. HomeSafe with AutoAlert allows help to get dispatched quickly. Can automatically detect a fall and place a call for help when a fall is detected. Our industry-leading HomeSafe with AutoAlert solution provides quick access to highly trained, caring Personal Response Associates with the push of a button, or using automatic fall detection technology. The HomeSafe with AutoAlert help button is worn as a pendant with an adjustable neck cord. 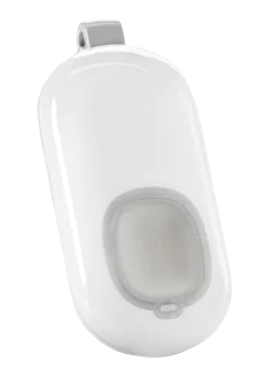 This small, discreet device includes the added protection of fall detection. Having AutoAlert means that you can rest easy knowing if a fall occurs and leaves you confused or even unconscious, the fall detection will automatically alert our Response Centers that help may be needed. * HomeSafe with AutoAlert is the most proven fall detection technology in a pendant on the U.S. market today. Over 200,000 falls have been detected by AutoAlert.